When it comes to security we don't compromise and neither should you so you can always trust us on giving the best advice on the solution to suit your budget. Whether it's a cost effective solution or professional grade equipment we can assist. This is why we recommend our professional grade cameras, NVR and accessories from VIP Vision. that function seamlessly with your business operations to grant peace of mind & improve management efficiency. 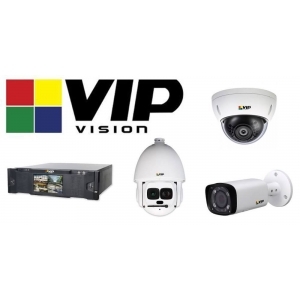 The VIP Vision™ range of surveillance cameras offer the best in broadcast quality Ultra HD resolution video, excellent colour reproduction and superb image performance even in challenging lighting conditions, all in durable, weather resistant housing. 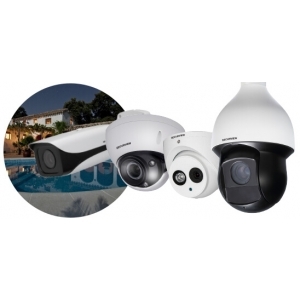 Available in motorised or fixed lens, as well as fisheye, panorama and PTZ, they feature true wide dynamic range, H.265 video compression, microSD slot for edge recording and intelligent video systems (IVS) such as face detection. More than a Smarthome, this is Smart Living!